LOL, not its not a spoof! Ragman has been around since 1976 in comics. I’m sure there’s plenty of crime to go around in Gotham to keep all the heroes busy. This Ragman mini-series is a good new start for the character, sure he’ll fit right in in Gotham. Although I think it was drawn well, that is not Ragman. Bandage Man might be more appropriate. Ragman had an iconic look and did not need updating to look like Mummy 2.0. Decent story though. I agree with the bandage look not fitting my expectations of Ragman . At first I thought this was going to be a new version of the Unknown Soldier. I hope the look evolves into a blend of the more iconic Kubert visage and this tattered bandaged representation. 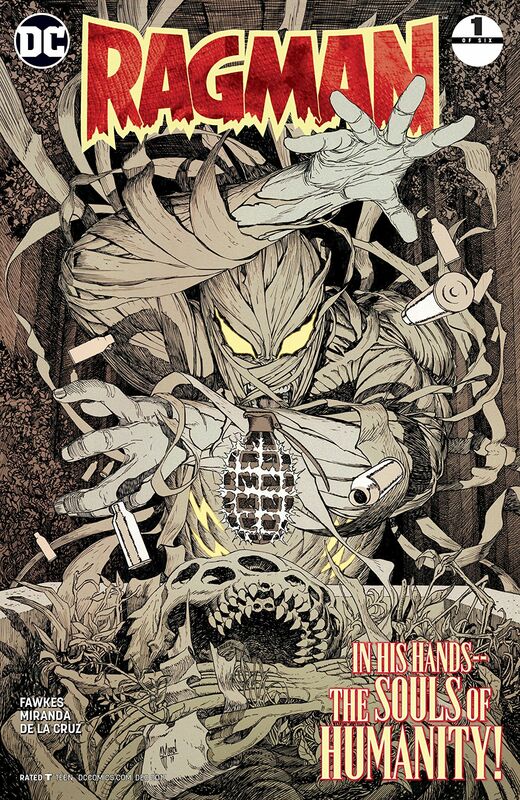 Sounds like a good read Paul, my familiariarity with Ragman stems from Arrow and a I had no idea he was co-created by the legendary Joe Kubert! As this is a mini series and based on your positive thoughts on the first issue, I’ll probably pick up the collected edition.